LUV NORTH and Anna Magazine – LUVNORTH! To some of us, summer is the only time of the year when you actually have time to do the things you’re normally too busy to do. Pack the picnic basket, pick up the pile of magazines you’ve been planning to read during the summer, and head to the beach. 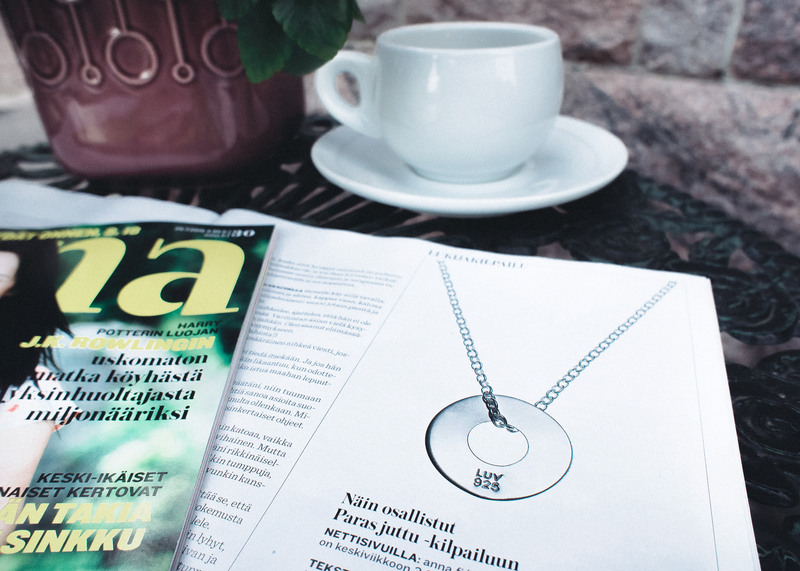 Talking about magazines, we’re so happy to announce you that this week’s ANNA-magazine contains a reader competition where you can win one of our necklaces! If you didn’t get lucky enough to win the Long LUV Story necklace, you can find it from here. Our previous blog post about ANNA-magazine can be found here.